2016-2017 Student PTA - Race to the Treasure! Student PTA 2016-2017 - Race to the Treasure! McCall Student PTA Members. If your child is interested joining the McCall PTA, visit Online Toolkit to purchase/renew his/her PTA Membership!!! The object of the game is to make it all the way to the end of your treasure map by May 12th, 2017! If you accomplish this task, you win the GRAND prize! What's in the treasure chest is a surprise! Clues will be given out once students reach certain doubloons counts!! How do you get to the treasure chest? 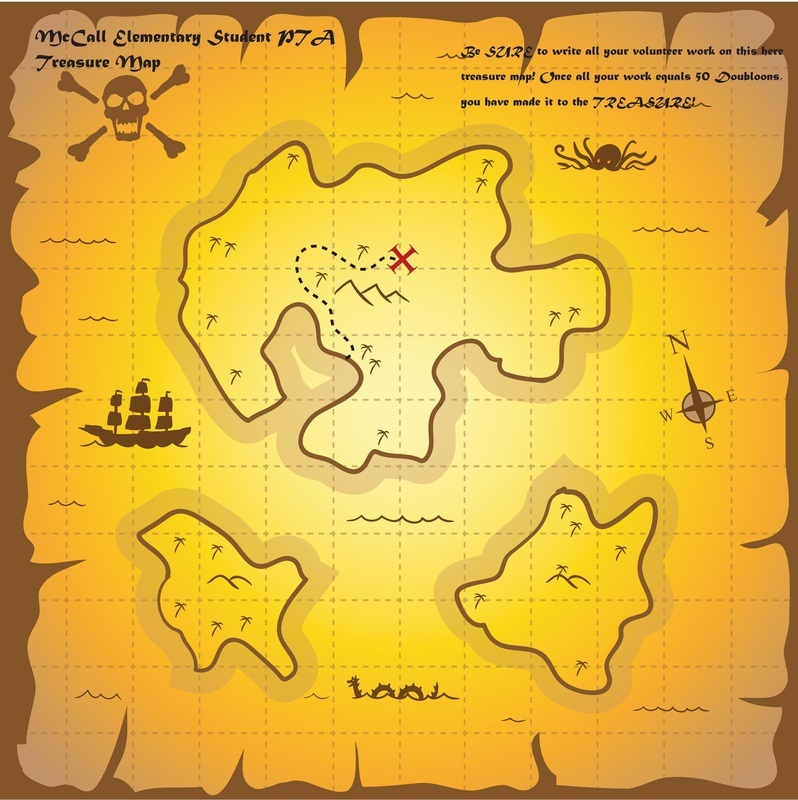 You need to earn 50 doubloons to reach the end of your map. We will be keeping a log sheet to track the progress of the students. Students should keep their maps at home. One of our student board members will be responsible for ensuring all doubloons are passed out. The doubloons are little coin stickers. Students will put them on their map at home to track their progress! !